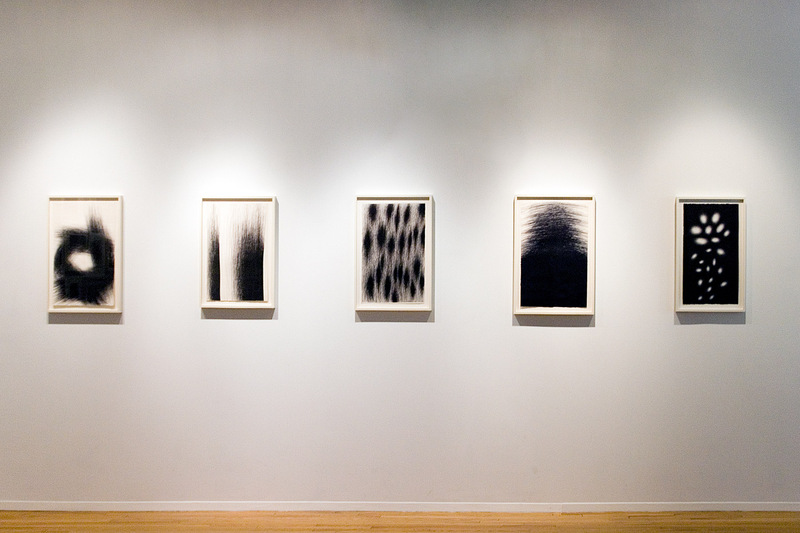 Installation view of IL LEE: Small Drawings 2001-2010 at Art Projects International, 2010. 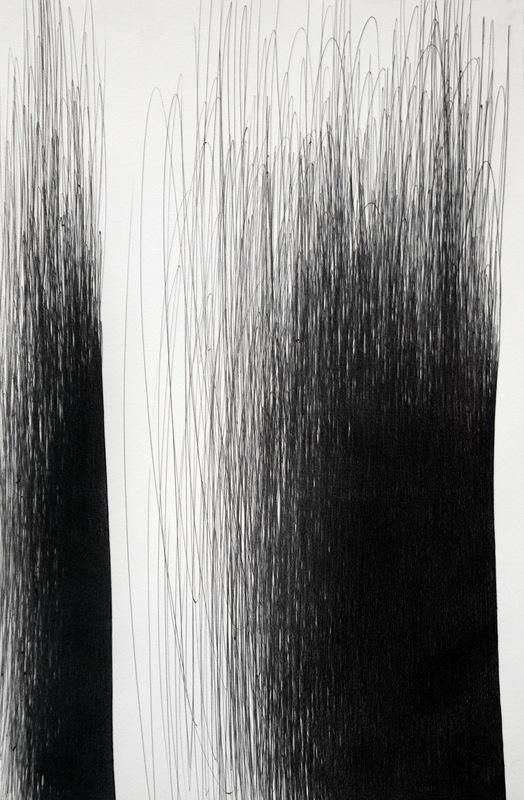 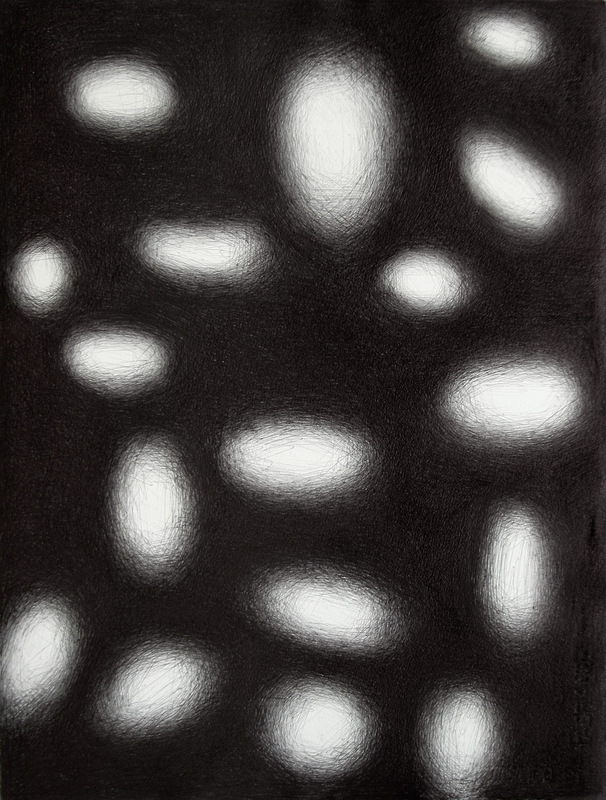 Art Projects International is pleased to present a solo exhibition of small drawings by Il Lee. 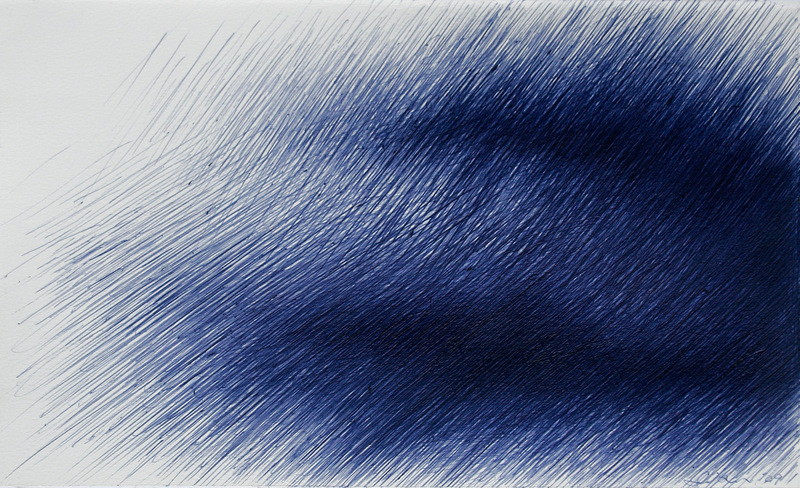 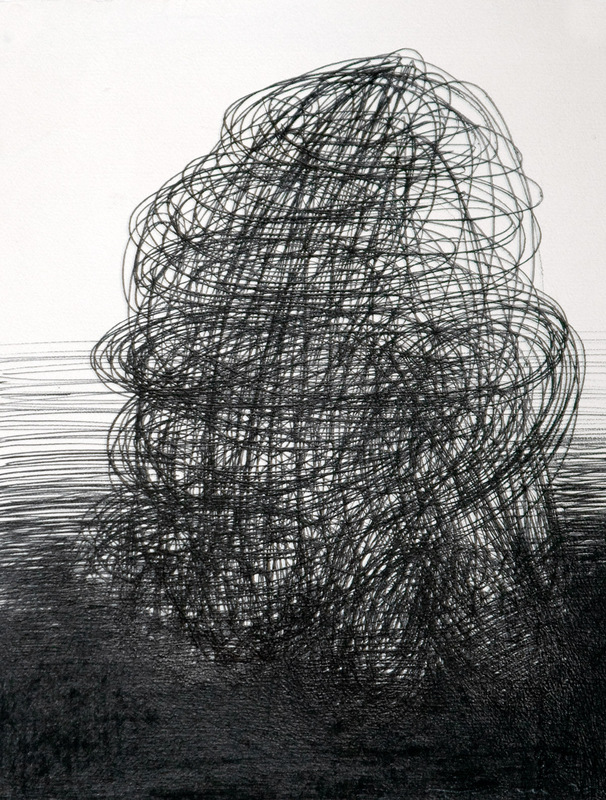 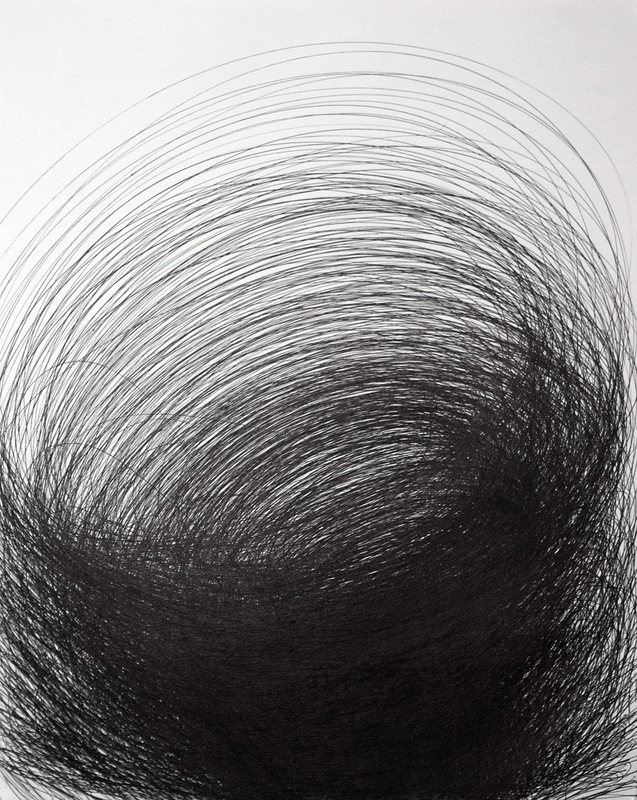 Comprised of selected small ballpoint pen drawings dating from 2001 to 2010, the exhibition features many never before exhibited works and provides a rare opportunity to see a vast array of singular approaches. 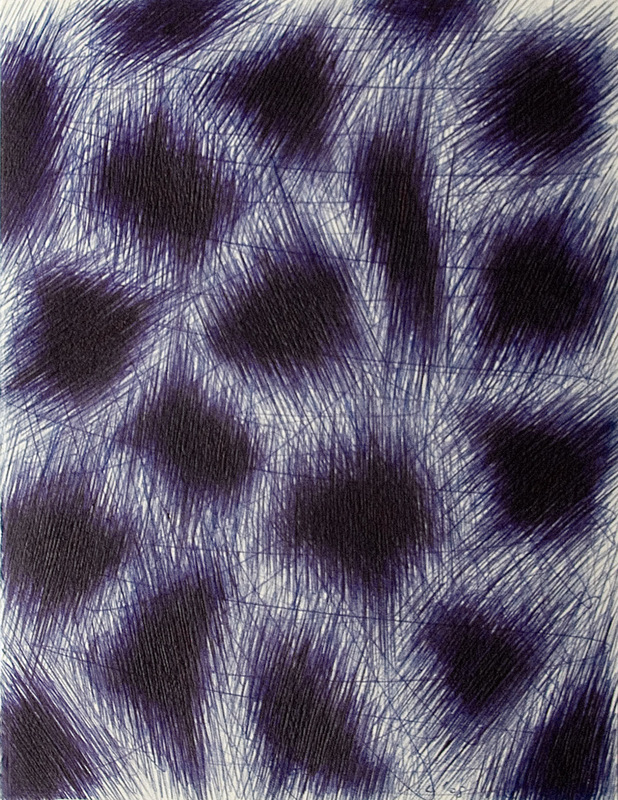 A constant in Lee’s ballpoint pen work of the last 30 years, the small drawings are a substantial and significant part of his practice. 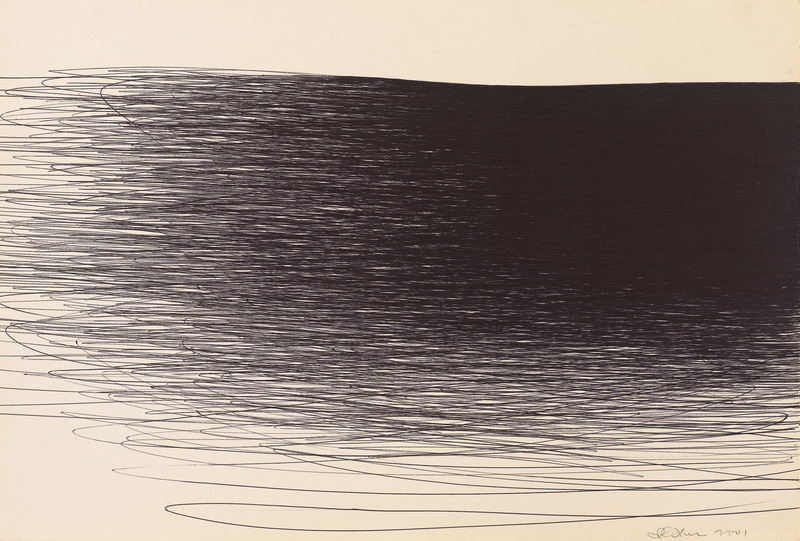 In exploring the language of modernism Lee has moved through minimalistic representation of line and form to an abstracted language of kinetics. 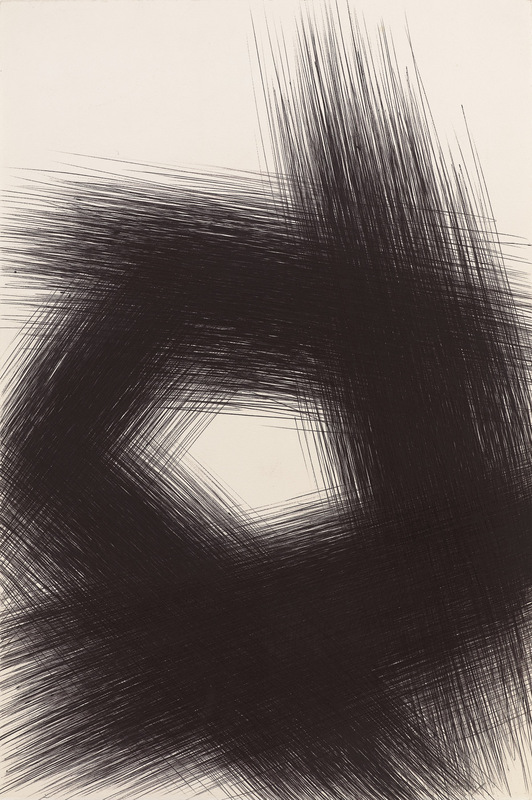 His progression is far from a retooling of modernist approaches and much more an investigation of timeless and contemporary concerns from within his own highly developed interests. 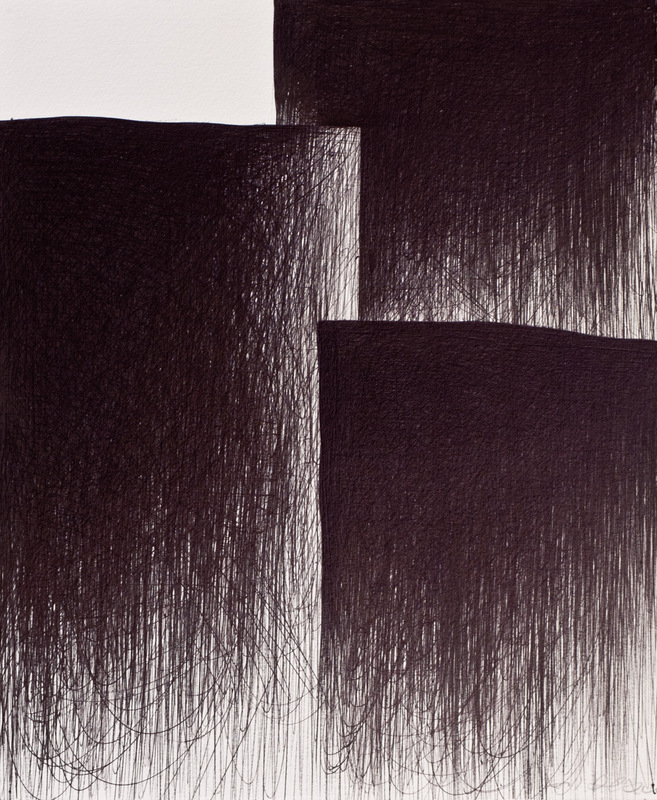 Those familiar with Lee’s works will recognize, emerging from tangles of lines, fields of forms or looming monoliths. 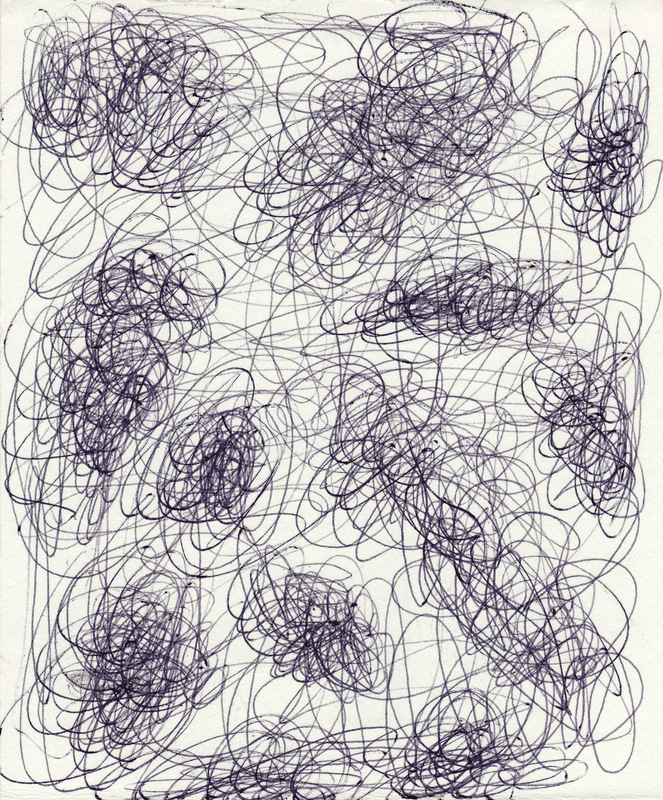 Moving from one drawing to the next the viewer will also discover thickets of angled sticks; lightly rendered floating lozenges; surprisingly colored vortexes; compilations of line passing as broad brushed symbols; hermetic compositions repeating within the same drawing; forgotten hieroglyphs becoming form; atmospheres menacing and combative and others lighter than the last wisp of sun-dissipated fog. 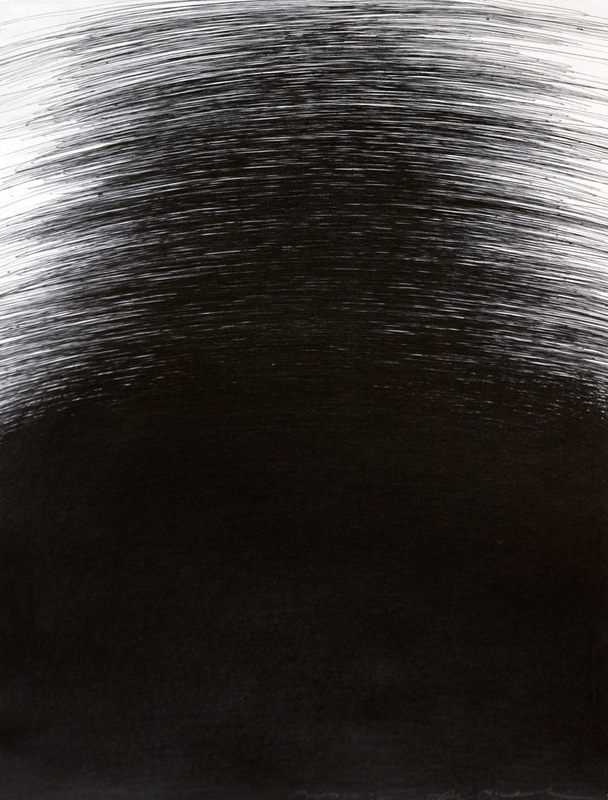 Lee’s rigorous approach allows the viewer to be sensitive to nuances created through the smallest of deliberate changes—a thicker line, a more compact swirl, a lighter touch. 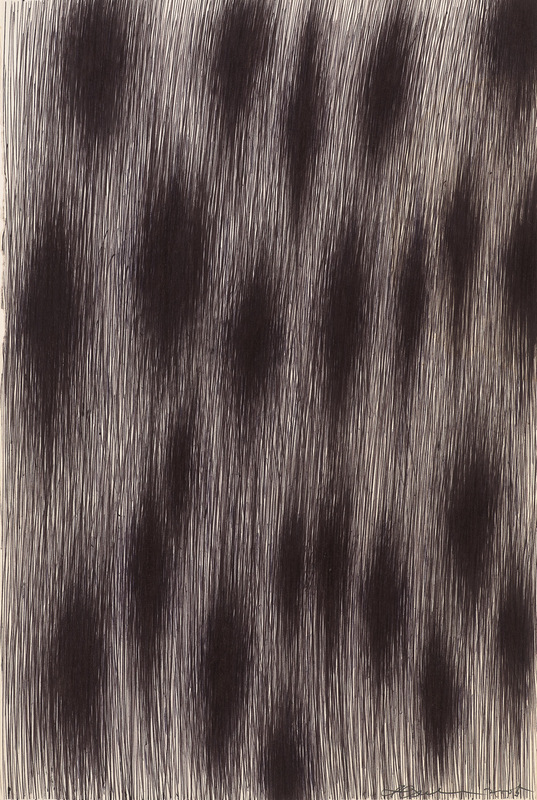 As a result, and perhaps counter-intuitively, as well as being masterly scaled, concrete exercises in how a medium depicts light, line, and form, his small drawings capture the ineffable. 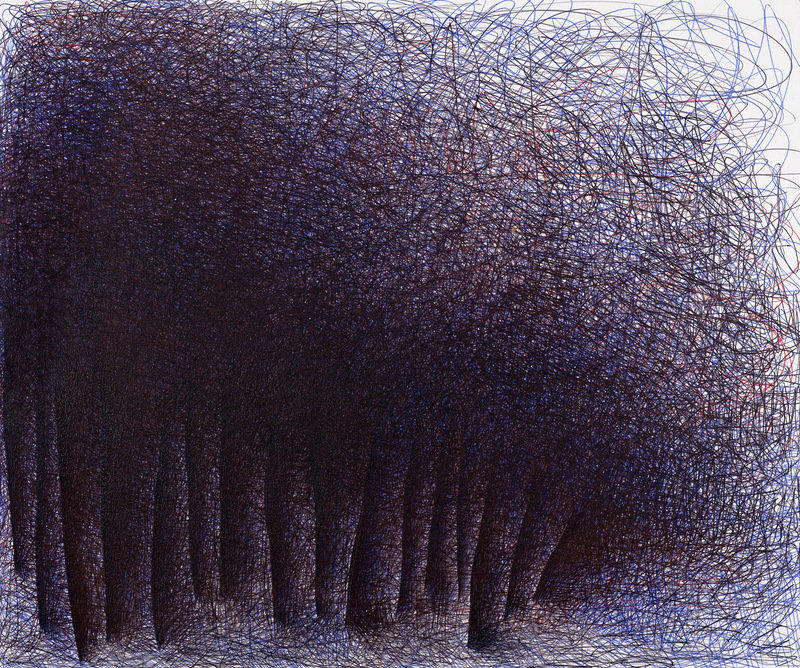 Critically acclaimed and widely exhibited, Il Lee’s ballpoint pen work has been the subject of a retrospective at the San Jose Museum of Art and solo exhibitions at the Queens Museum of Art and the Vilcek Foundation in New York. 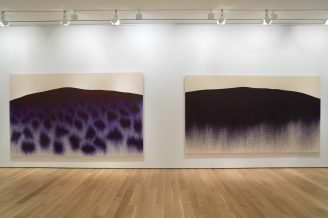 His work has, also, been featured at the Brooklyn Museum, the Smithsonian Museum of Art and the National Museum of Contemporary Art, Korea. 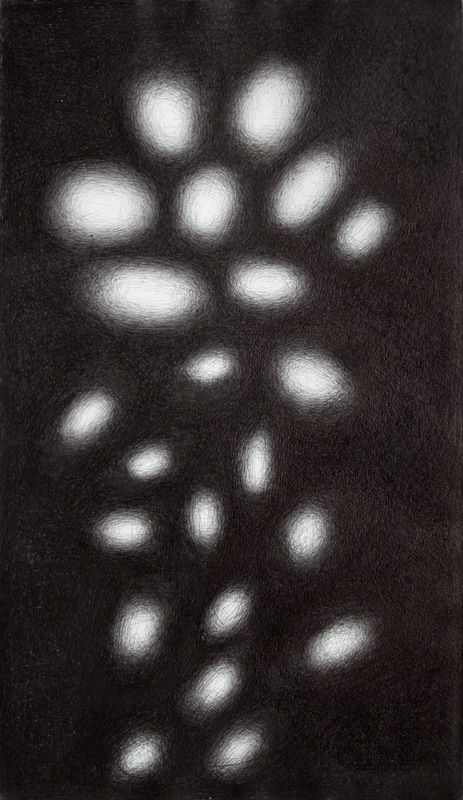 Upcoming exhibitions include a solo exhibition at the Crow Collection of Asian Art, Dallas, TX in 2010.